Spain's Islamic Board wrote a letter to Pope Benedict XVI to be allowed to pray in Cordoba Cathedral, on the grounds that the building was originally a mosque before being transformed into a church in the thirteenth century. "What we wanted was not to take over that holy place," reads the Islamic Board's letter, "but to create in it, together with you and other faiths, an ecumenical space unique in the world which would have been of great significance in bringing peace to humanity." The Islamic Board took this initiative after senior Catholic clergy announced they "did not recommend" this step and indeed declared themselves unprepared to permit the cathedral's shared use with any other faith. On an operational level, security guards in the cathedral are said often to prevent Muslims from praying inside the medieval mosque that surrounds its church structure. 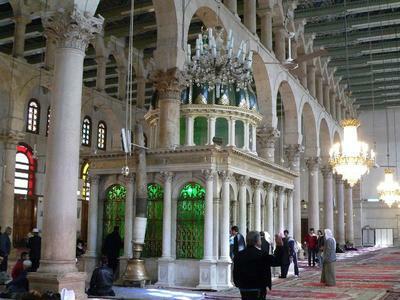 St John's Shrine, which is inside the Umayyad Mosque, Damascus. The Islamic Board's general secretary, Mansur Escudero, complained that some in the Church feel threatened by Spain's growing Muslim population. "There are reactionary elements within the Catholic Church, and when they hear about the construction of a mosque, or Muslim teachings in state schools, or about veils, they see it as a sign we are growing and they oppose it." Mar. 19, 2007 update: A reader, "gus3," reminds me that a mosque was, in turn, built atop the Visigothic monastery of San Vicente, which in its turn was built atop a Roman temple dedicated to Janus. One suspects that Christians did not get to pray in the mosque, nor devotees of Janus in the church. Apr. 11, 2007 update: Another reader, "Marcus," takes this point to its elegantly logical extreme: "The mosque builders used the Roman and Visigothic columns to make the mosque. So . . . while the site was a mosque, Muslims have no particular claim on the site. I guess if the remnants of a Roman cult of Jupiter would like to make a claim, we'd have to listen to them." The Cordoba Cathedral looks like a mosque. A confrontation between Muslim tourists and guards employed by the Roman Catholic bishop at the world-famous Cordoba mosque saw two people arrested and two guards injured last night. Trouble broke out when the visitors knelt to pray in the building. ... Half a dozen members of a group of more than 100 Muslims from Austria had started praying among the marble columns and coloured arches of the vast building when security guards ordered them to stop. "They provoked in a pre-planned fashion what was a deplorable episode of violence," the bishop's office said in a statement. Cathedral authorities said the guards had invited the visitors to continue viewing the inside of a 24,000 sq metre building that was once the world's second biggest mosque, but without praying. "They replied by attacking the security guards, two of whom suffered serious injuries," the bishop's office said. Local newspapers reported that a dozen police officers had been called into the building and that these, too, had been attacked when they tried to arrest the two visitors. The local Diario de Cordoba newspaper quoted anonymous police sources as saying that a knife had been taken off one of those arrested. Comment: Still no word of militant Christians praying in the Umayyad Mosque in Damascus, much less tussling with guards there. Apr. 5, 2010 update: How ironic that a planned $100 million dollar "Muslim-led project which will build a world-class facility that promotes tolerance, reflecting the rich diversity of New York City" is to be called the Cordoba House. With a stated aim of building back an "atmosphere of interfaith tolerance and respect," the name Cordoba would seem to be, given current disputes in that city, the wrong name. 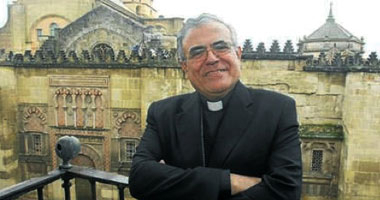 Bishop Demetrio Fernández of Cordoba, with the cathedral in back of him. the bishop pointed out that it is important "to know, that where Muslims pray, no one else may pray, which is to say, if I permit Muslims to pray in the Cordoba Cathedral, we could go the day after tomorrow; then, to permit the Muslims to pray in the Cathedral is equivalent to telling Catholics to saying goodbye and good night, and that would be irresponsible." Bishop Fernandez averred that "some things may be shared and others are not; and the Cathedral of Cordoba is not to be shared with Muslims." The article, by Martin Barillas, a former US diplomat, also notes an increase in security at the cathedral since the altercation in April 2010. Oct. 1, 2010 update: The push in Cordoba is not unique; comes news from Turkey that the government has approved a request by the Nationalist Movement Party (MHP) to hold Muslim prayer service in the Holy Virgin Cathedral, an Armenian church built in 1001 in Ani, the one-time capital of a medieval Armenian kingdom. One of the largest churches of medieval Armenia, it is one of the few extant buildings of medieval Armenian civilization. 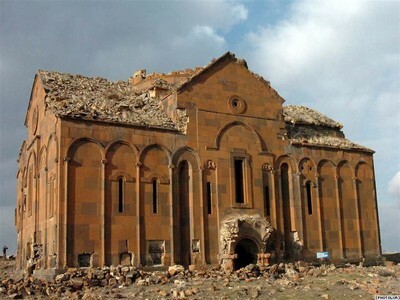 The Holy Virgin Cathedral, an Armenian church built in 1001 in Ani, now in the Turkish province of Kars. Nov. 4, 2010 update: Rachel Donadio updates the Cordoba monument debate for the New York Times in "Name Debate Echoes an Old Clash of Faiths." Today, signs throughout this whitewashed Andalusian city refer to the monument, a Unesco World Heritage site, as the "mosque-cathedral" of Córdoba. But that terminology is now in question. Last month, the bishop of Córdoba began a provocative appeal for the city to stop referring to the monument as a mosque so as not to "confuse" visitors. There's no problem saying that the Muslim caliphs built this temple to God. But it is completely inappropriate to call it a mosque today because it has not been one for centuries, and to call it a mosque confuses visitors. In the same way, it would be inappropriate to call the current mosque of Damascus the Basilica of St. John or to expect that it could be both a place of Muslim and Christian worship. Also this week, Donadio reports, "a judge in Córdoba charged eight Austrian Muslims with disturbing the peace when they entered the monument in small groups on Good Friday this year, began to pray loudly and scuffled with security guards and local police officers who tried to stop them." Sep. 2, 2012 update: Muslims turn the buildings of other religions into their mosques (think Hagia Sophia) but don't mess with a former mosque. That's the message coming from the Organization of Islamic Cooperation and the Government of Turkey concerning the planned wine festival on Sep. 5-6 in the courtyard of the Ottoman-era Beersheva Mosque, now an archeological museum. described the recent plan as a violation to be added to the crime of closing the mosque and preventing Muslims from praying there. "This violation is part of a series of ongoing attacks against Islamic sanctuaries and antiquities in Palestine aimed at obliterating and desecrating them, which is a deliberate provocation of Muslims in all parts of the world." Turkish Deputy Prime Minister Bekir Bozdağ called on the Israel government to "stop this violation." Religious Affairs Directorate President Mehmet Görmez called on the Israeli government "to act with reason and avoid such a disrespectful act against a house of worship that belongs to another religion." Sep. 5, 2012 update: Under pressure from Israel's president, Shimon Peres, the mayor of Beersheva moved the planned wine festival from the former mosque's courtyard. the recent violence shows the impossibility of sharing a house of worship with Muslims, which would be akin to "sharing a wife between two husbands." As a result, he says, the ban on Muslim prayers must remain in place. Fernández asks: "Would they be happy to do the same in any of their mosques? Absolutely not. I understand their religious feeling and they have to understand ours as well. The religious feeling is the deepest one in the human heart, so it is not possible to share." In an opinion article in the Spanish newspaper ABC, Fernández compared the situation in Córdoba to the Basilica of Saint John the Baptist in Damascus. ... Says Fernández: "We wouldn't think of asking for the Damascus mosque, because it belongs to the Muslims and for them it is an emblematic place. It is the same for Christians because Saint John's basilica is very important to us, but we understand that history does not go back. It only goes forward. 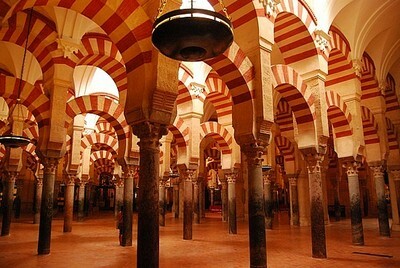 So, it does not make sense to ask for the Córdoba Cathedral to convert it into a mosque. It does not make sense because history is irreversible." Apr. 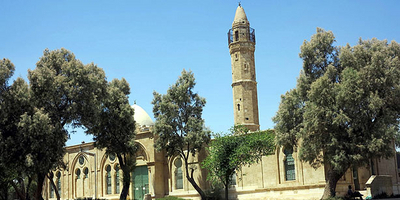 10, 2015 update: Eric Calderwood, an Arabic studies instructor at the University of Illinois, has penned a long essay on the Cordoba problem, "The Reconquista of the Mosque of Córdoba," in which he excoriates the Catholic authorities while never touching on the reciprocal situation in Damascus, Istanbul, or elsewhere. No context, no sense of judgment, no utility. May 29, 2017 update: I discuss today at National Review Online the Cummer Museum in Jacksonville, Florida, celebrating the loss of Hagia Sophia. Does Europe Have No-go Zones?